Lithuania's Parliamentary Vice-Speaker Gediminas Kirkilas of the Social Democratic Party says that a moratorium on all recent decisions is the only compromise possible in the clash of the positions of the party and the political group on the party's future in the ruling coalition. Ahead of the Saturday's meeting of the Lithuanian Social Democratic Party's council, Kirkilas said that the decision taken by the party's council to withdraw from the coalition and the political group's agreement to continue their support to the ruling Farmers and Greens Union could still be annulled. "Compromises are possible in terms of content and time. Time is the simplest compromise. What makes us force the council meeting? Let's take a month off, a moratorium. This is one compromise. Another compromise is about content – we can suspend the council meeting, we can suspend our decision, however, there are also state matters, there is the government and the budget," Kirkilas told journalists on Thursday. 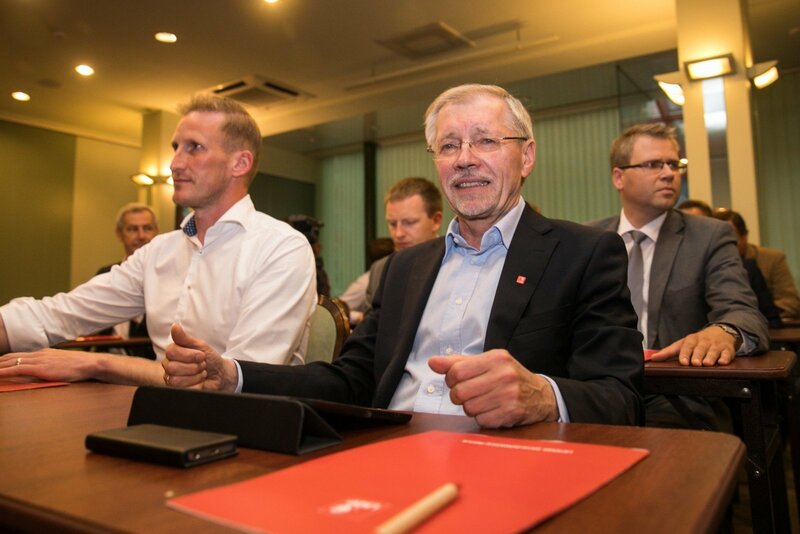 At the end of September, the Social Democratic Party's council decided to leave the ruling coalition with the LFGU, however, nine of the party's parliamentarians opposed the council's will and voted for continued cooperation with the Farmers and Greens Union. The party's ethics watchdogs want them expelled from the party, a decision to be made by the council on Saturday. The LFGU have 56 mandates in Lithuania's 141-seat parliament, in addition to Parliamentary Speaker Viktoras Pranckietis who cannot be a member of any political group, under the Seimas statute. 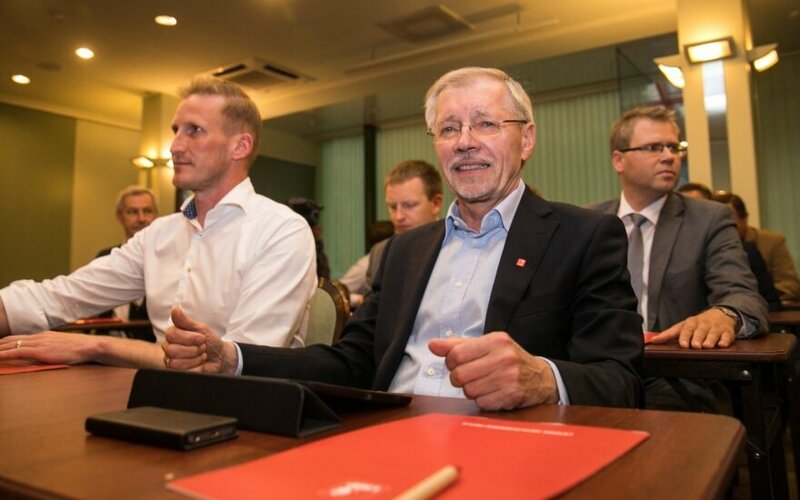 Support to the coalition has been declared by two members of the Labor Party, putting the total number, including the Social Democrats, at 69. The ruling majority has to include 71 members.